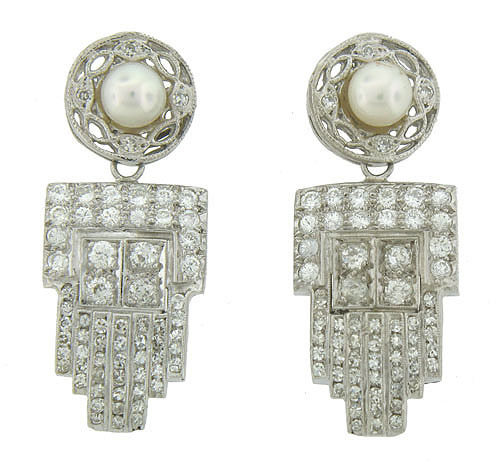 These handsome Art Deco earrings feature a spectacular diamond frosted dangle and abstract organic post set with a single cultured pearl. The antique earrings are fashioned of platinum and measure 1 1/4" long, 1/2" wide. Circa: 1920.